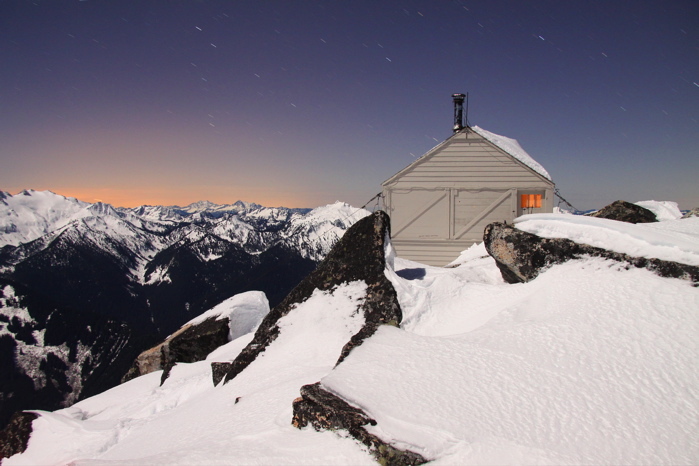 People don't often go up to the Hidden Lake Lookout in the winter. Spending the night surrounded by snow-encrusted Cascades was a unique and beautiful experience. 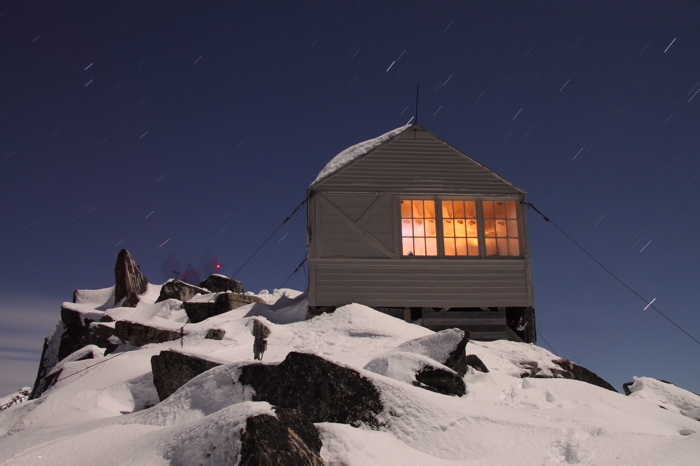 The long night and moonlight was also ideal for some more of my 'Lookout Night Photography'! More below about my overnight adventure capped off by a harrowing drive when a storm dumped snow on the road below where my car was parked. 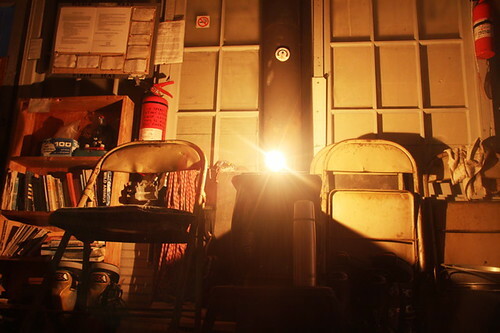 I also went to the Lookout to do some night photography in June 2008. 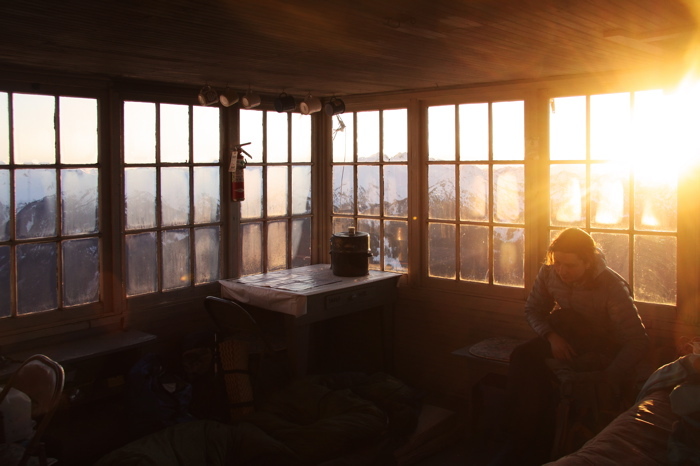 Click here to see these photos of the early summer conditions at the Lookout. 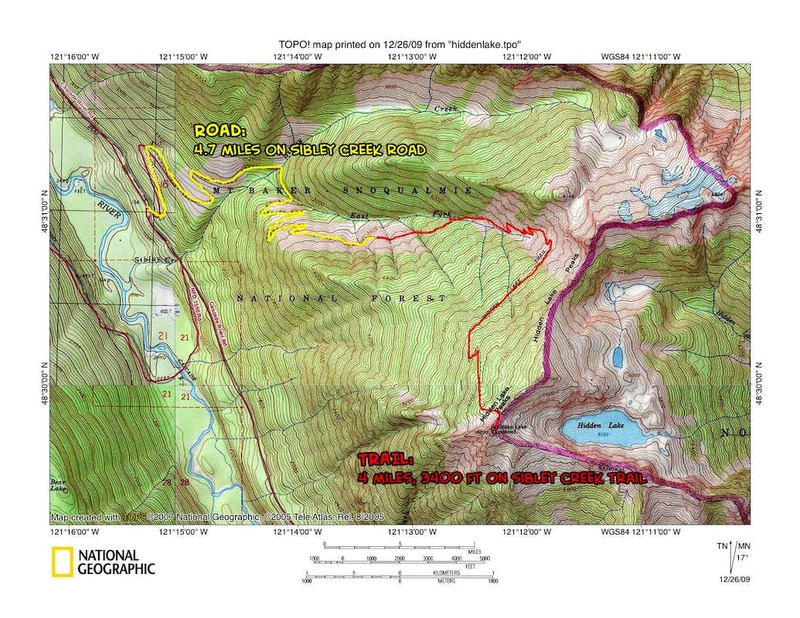 Left: Topo map showing the road and trail. 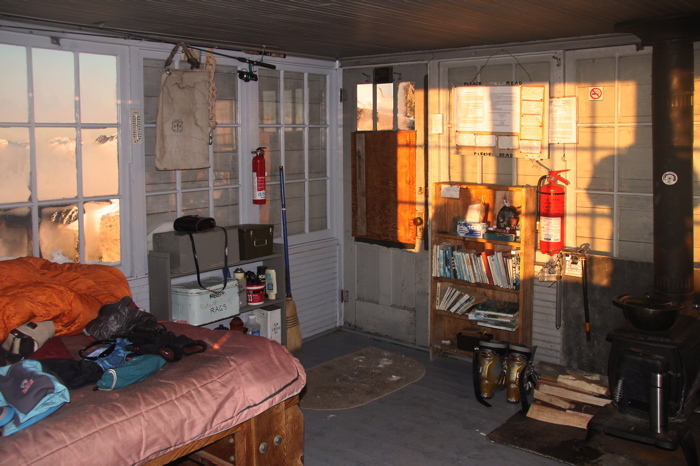 (Click on image to enlarge); Right: The hut is on top! 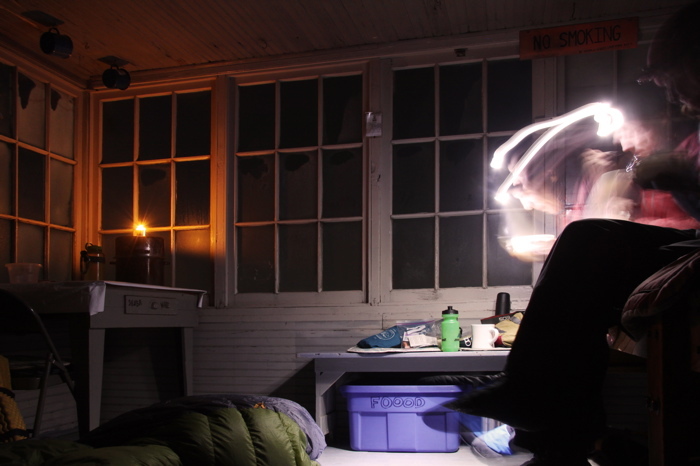 The Trailhead (elev. 3,500 ft) is 4.7 miles up Sibley Creek Road. Sibley Creek Road is about 10 miles up the Cascade River Road. 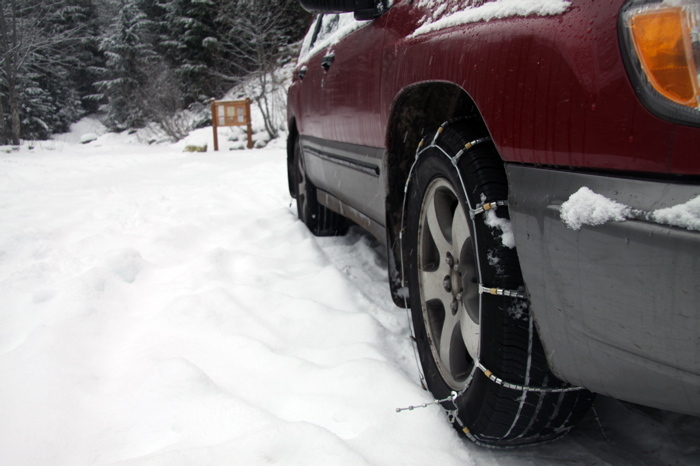 The road can often be partially closed for washouts, blowdowns, or snow. 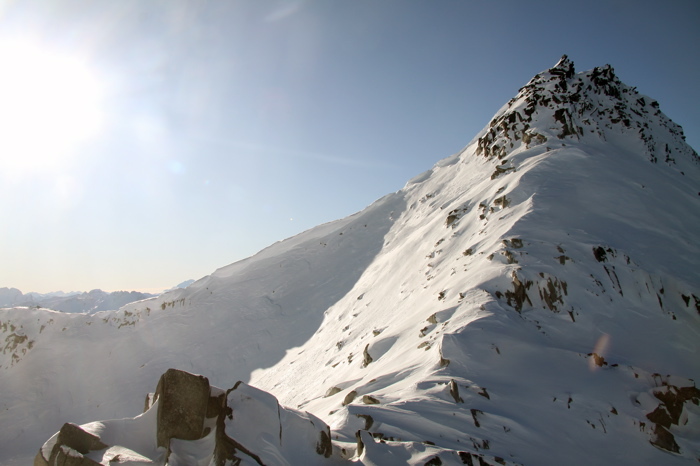 In the summer, getting to the lookout is a mellow trail hike, but in the winter getting to the lookout requires skiing or snowshoeing, often most of the way up the Sibley Creek Road too. 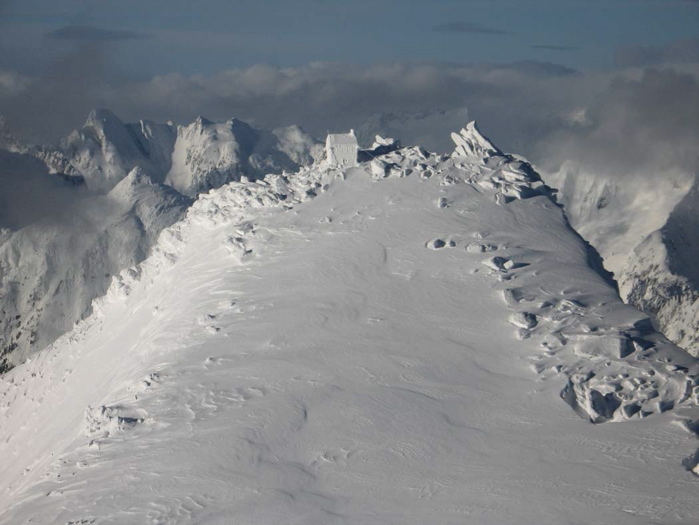 There are several avalanche prone slopes en route, so the snow conditions should be considered before heading up there. 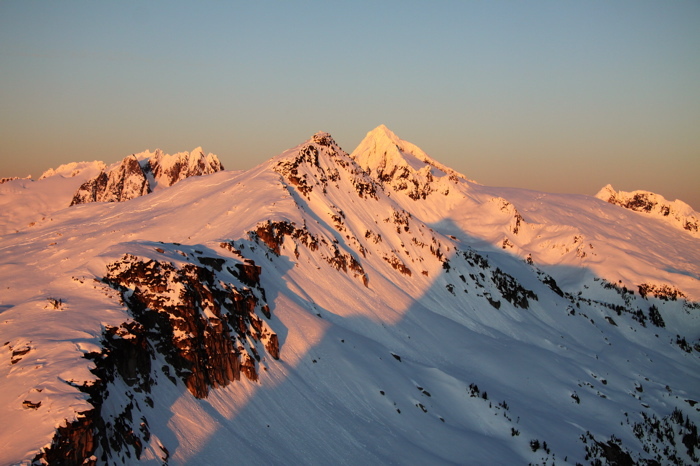 The Sibley Creek drainage in particular is a frequent avalanche path, so in the winter or early spring is usually best to cut right shortly before reaching the drainage and ascend the timber to the treeline at around 5,100 ft.
Left: Aerial photo by John Scurlock in January 2006 showing typical winter conditions at the Lookout. Link to John Scurlock's stunning aerial photography. Right: It is my goal to eventually visit all the remaining standing fire lookouts scattered about the mountain ranges of Washington. 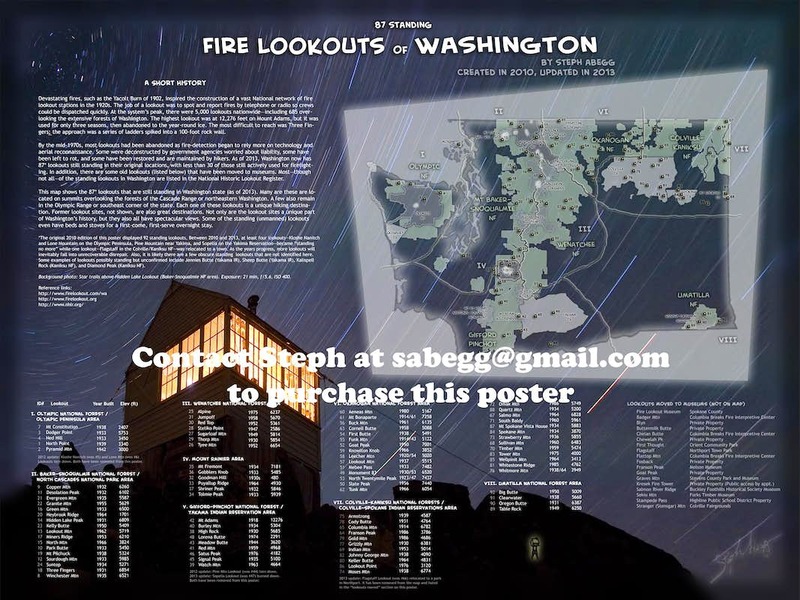 Click the following link to go to my webpage on fire lookout structures of Washington, which gives a bit of history of fire lookouts as well as a complete listing of the remaining standing lookout structures in the state. 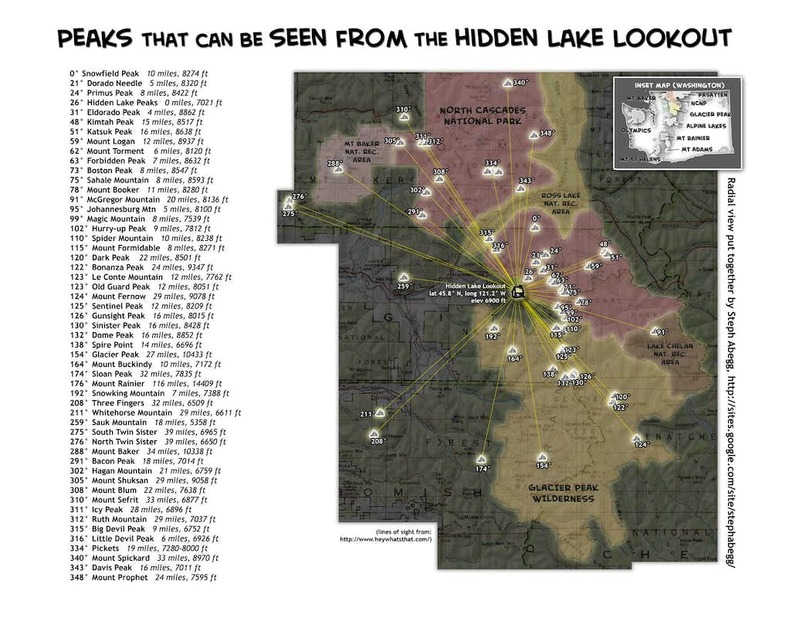 The Hidden Lake Lookout (elev. 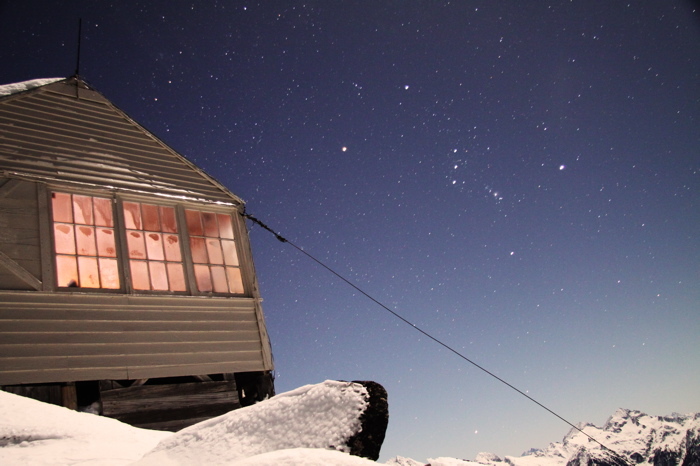 6,900 ft) is an old Fire Lookout built in 1931. It is a gable-roofed L-4 cab style. 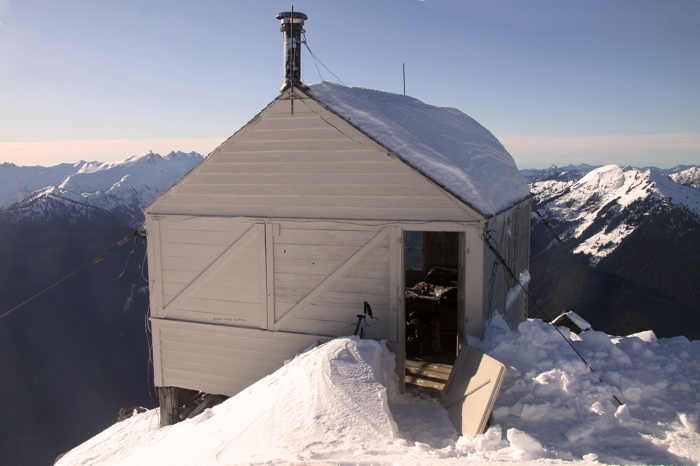 It was last staffed in the 1950's, and it role in fire prevention has been phased out by aerial fire patrols, but the lookout is still in good condition and hikers can stay there on a first-come first-serve basis. It is maintained by the Friends of HLLO, and anyone who stays there should do their best to respect the Lookout and keep it around for others! The views from the Lookout are amazing. To the west lies Puget Sound, and in all other directions are jagged peaks: to the north, Baker and Shuksan; to the east, Eldorado, Torment, Forbidden, Boston, Sahale, the peaks of the Ptarmigan Traverse; to the south, Glacier Peak, Buckindy, and Snowking; and many many more. On a clear day, you can even make out Mt. Rainier. 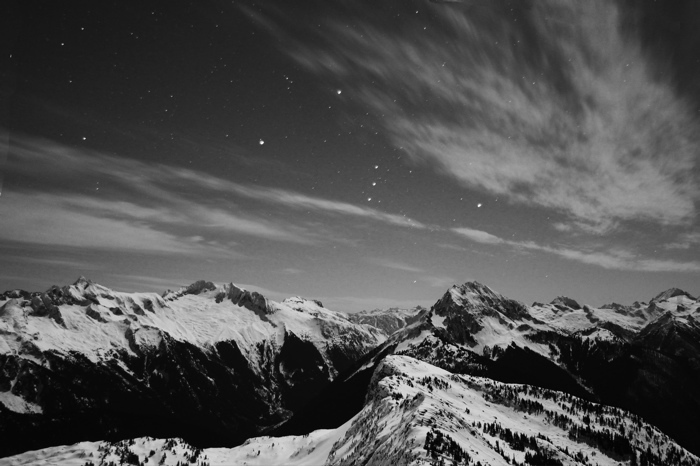 My goal on this trip (other than night photography) was to get a nice panorama of the view and make some labelled panoramas, such as the ones below! 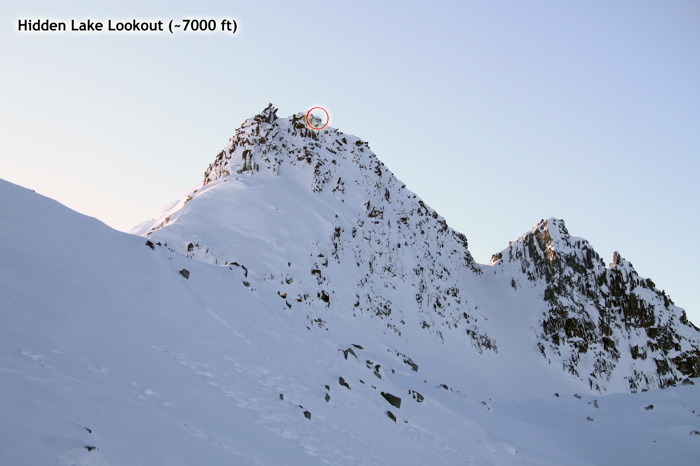 Formatted in 8.5x11 size so you can print this radial view and bring it up to the Lookout to help identify peaks! 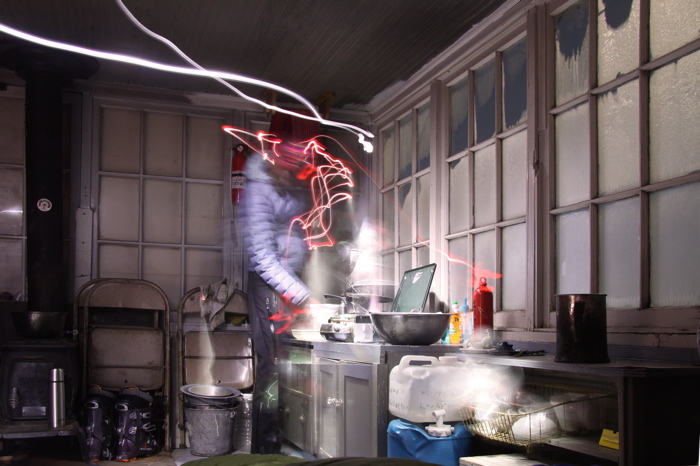 Snowshoeing up to the Lookout and spending the night sleeping in the hut and doing some night photography was a great way to cap off 2009. 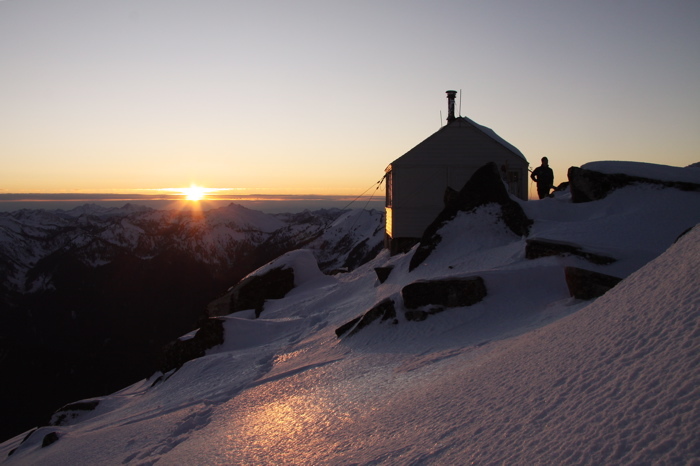 Looking through the old summit registers indicates that there are very few parties who ever come to the Lookout between October and April, but it is certainly a unique and beautiful time to do so. 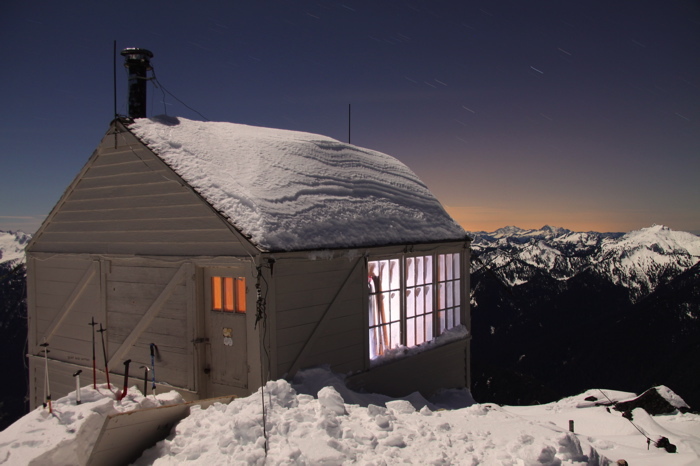 There is nothing like waking up surrounded by snow-encrusted North Cascades. 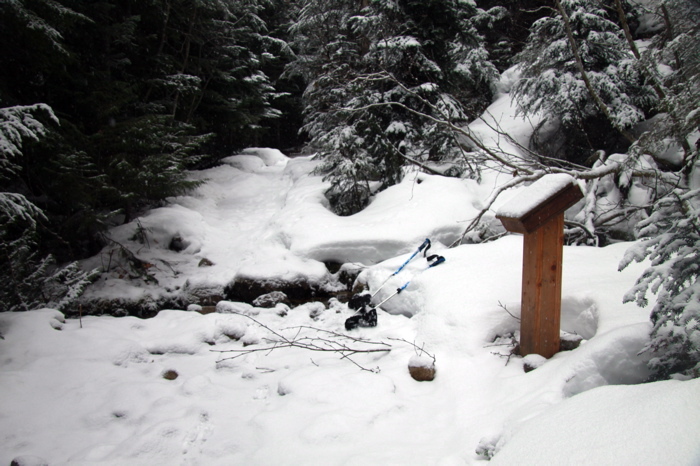 Conditions were great for snowshoeing, and it took me less than 4 hours to snowshoe up to the Hut from the trailhead. When I drove in, Sibley Creek Road was surprisingly snow-free for late December, and I drove all the way to the parking lot. But this was to change overnight. 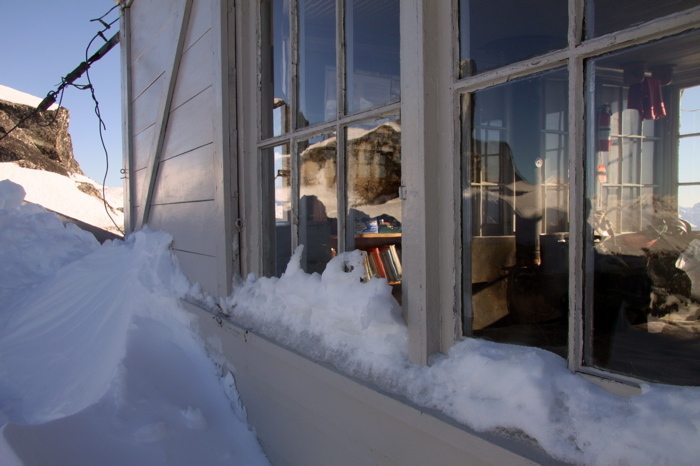 The forcasted winter storms arrived a day earlier than expected, and it had started to snow when I woke up in the Lookout the next morning. My first thought was: "It's beautiful out there!". My second thought was: "My car is parked at the top of a steep and lonely dirt road, surely getting snowed on, and if I can't get my car out today, it will be until the June snowmelt before I can get it out. I better hurry down there." At every steep switchback on the Sibley Creek Road (there are 7 of them, I know them all very well now), my adventurous Subaru would take a harrowing slow but uncontrolled slide towards the edge. But it always stopped in time. Finally, I was on pavement, and back into the even more harrowing world of civilization. 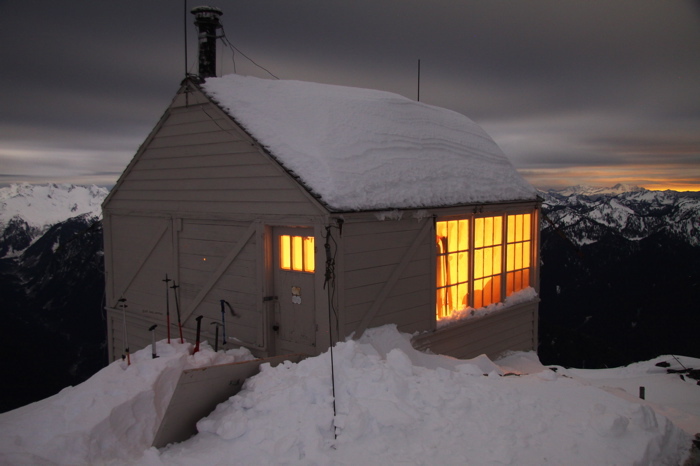 Below are lots of great photos of the wintertime Lookout! 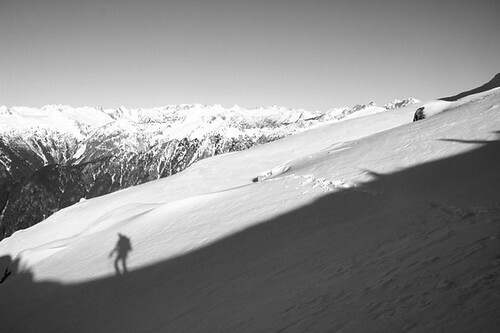 The final approach involves crossing this slope. This can be dangerous if there are slide conditions. 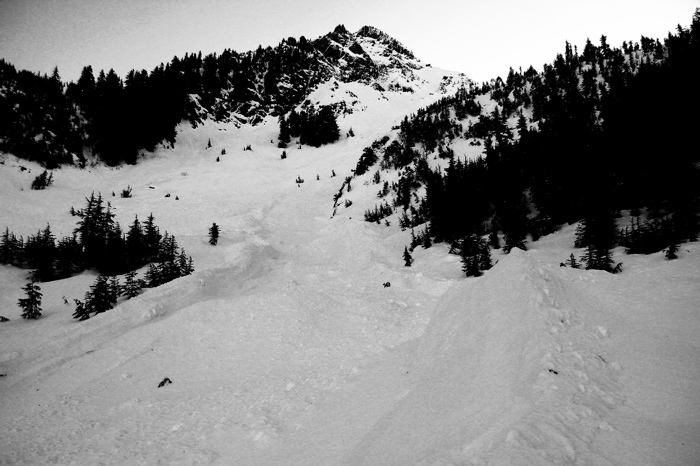 On the way up, I chose to traverse high right below the upper rocks, which was a steep and deep wallow with a fun ramp-digging episode to get over the cornice. On the way out, I chose to traverse low (outside the photo), which was not as steep and deep but takes a longer route. The door was only buried by about 3 feet. 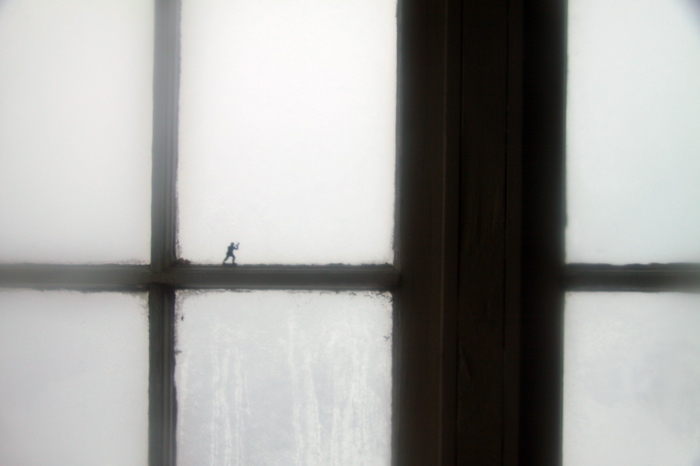 A dry week had melted any rime from the lookout walls, but the snow buildup began to arrive the next day. 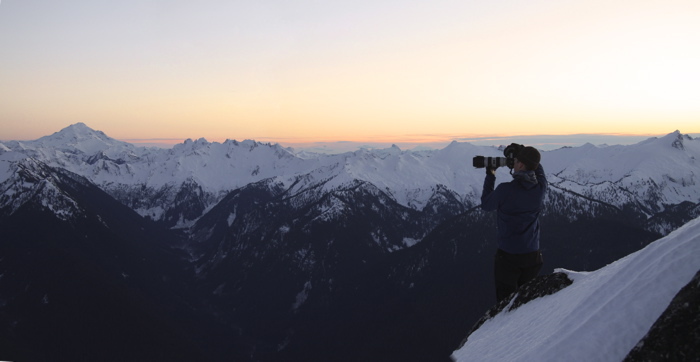 The Lookout is really an amazing place to have on top of a North Cascades peaklet. Torment, Forbidden, Boston, Sahale, Booker. Alpenglow on Hidden Lake Peaks and The Triad. Nice contrasts at twilight. This shows the view looking east from the Lookout. Hidden Lake is below. Major peaks from L to R: Hidden Lake Peaks, The Triad, Torment, Forbidden, Boston, Sahale, Booker, Cascade Pass, Johannesburg, Spider, Formidable.